A new equine policy group has been formed in Canada to advance priorities in the equine industry with governments and public institutions. Chaired by former Equine Canada CEO Akaash Maharaj, the Guelph Equine Public Policy Group was created following the University of Guelph’s Equine Industry Symposium (EIS). 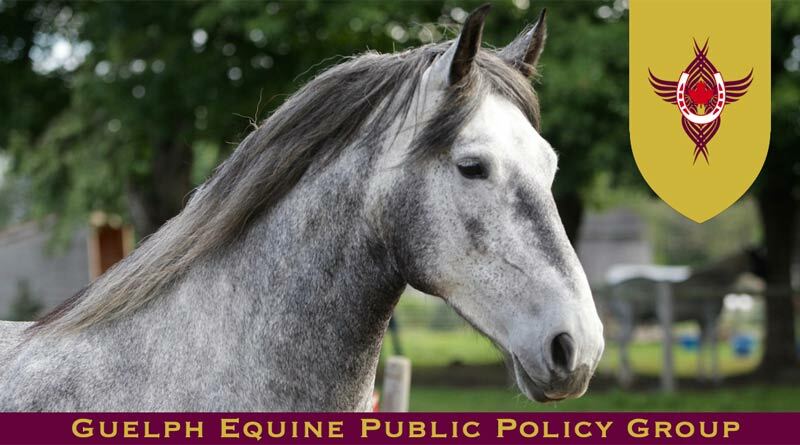 Members of the Guelph Equine Public Policy Group include national athletes, industry leaders, horse welfare advocates, heads of international institutions, and highly respected figures from the worlds of Federal, Provincial, and Indigenous government. Group members are all volunteers, and were selected for their expertise in equestrianism, equine industries, horse welfare, and public affairs. The group’s mandate is to develop and to champion public policies that will support the ability of the Canadian horse sector to be humane, accessible, and professional; economically, environmentally, and inter-generationally sustainable; and integrated into coherent policy frameworks for education, employment, and culture. The group is also responsible for meeting and working with ministers, legislators, and public authorities, to press for implementation of those policies. “The hard reality is that Canadian horses and horsepeople suffer when our voice goes unheard in the corridors of power,” Maharaj said. The group conducts its work transparently, invites public participation, and welcomes public scrutiny. It publishes open accounts of its activities, its decisions, and its meetings with public policy makers. It is independent of the University of Guelph and of the EIS. It receives no public or university funding. I hope they will work towards ending the shipment of live horses to Japan for slaughter. I agree……all horses deserve to have a good life, this treatment must stop, it is not right. The Japanese have an island of rabbits and one of cats! They are surrounded by the ocean with lots to eat. Their population is becoming too many for such a small area. Japan is not the only country buying these beautiful animals to eat and as far as I know, Alberta, Quebec and probably parts of the US don’t care how they are treated. What humanity does for money is horrible cruel and discussing!